Nurses working at Tehran’s Azadi Hospital have not received their overtime pay since December. 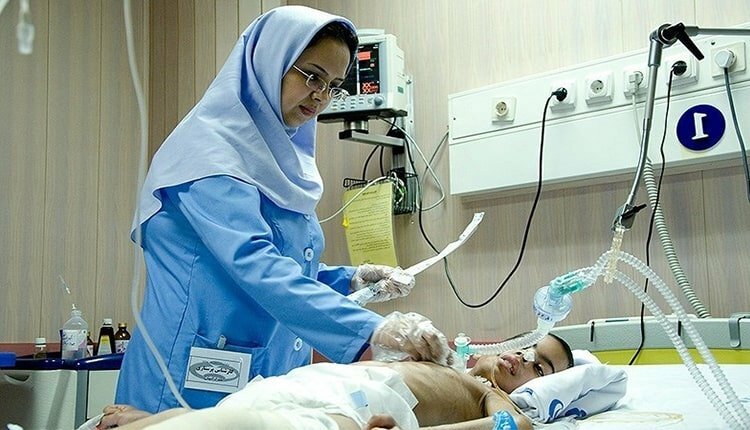 Nurses of Azadi Hospital are working under the supervision of Tehran’s Medical Sciences University. They are critical of the Ministry of Health for asking them to do jobs which are out of their defined duties. Azadi is a private hospital. Nurses say the hospital deploys paramedics instead of nurses to help its physicians and surgeons working in the Colonoscopy Department or the operation room, but the hospital receives nurses’ fees from patients. The hospital has neither raised the salaries of nurses. Some 150 nurses and medical personnel work in this private hospital. They complain that the hospital does not provide them any meals. According to Article 151 of the Labor Law, the employer is obliged to provide proper food at a reasonable price for his workers. According to Article 61 of the Rules on Protection of Public Health, the employer is obliged to provide two sets of uniforms free of charge for his workers, but Azadi Hospital has refused to do so and it has provided only one set of job uniforms to its personnel over the past three years. The number of nurses in Iran is one-fourth of the world standard. Nursing is considered as one of the most difficult and harmful jobs in the world. In Iran, nurses do not enjoy any form of support due to mismanagement and plunder of the public wealth by government officials.